As the 62nd Annual Conference and our visits to Mexico City draw near, we want to make sure that all participants who are either presenters, chairs, or discussants in sessions are aware of the Key Dates and Deadlines for registering for the Conference. Please note that anyone who registers as a CIES member must also pay the CIES membership dues for 2018. For more information, click here. If you have been assigned as a discussant or chair for a panel or paper session, you can see your list of assignments by logging into your All Academic account, clicking on “Submit a Proposal” under your “Submitter Menu,” and clicking on the “Participations” tab. You can also search for your name in the online program. Thank you for being a part of what promises to be a wonderful CIES 2018 program! 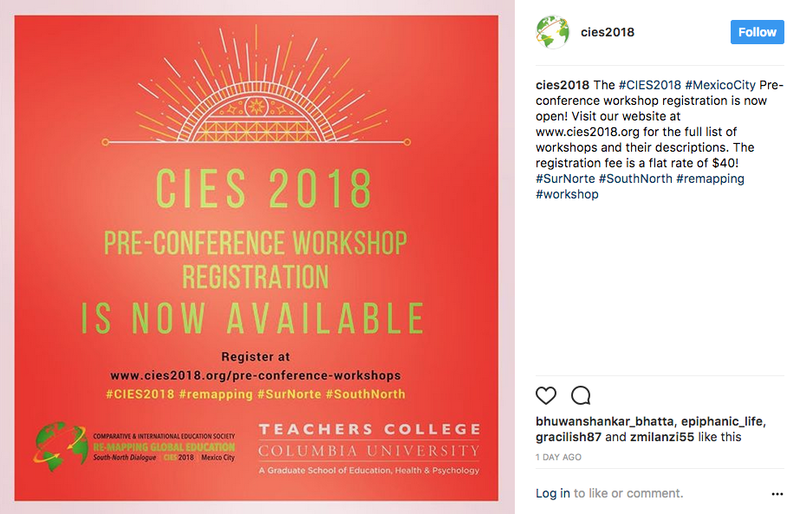 The CIES 2018 Annual Conference will feature a series of pre-conference workshops on Sunday, March 25, 2018. 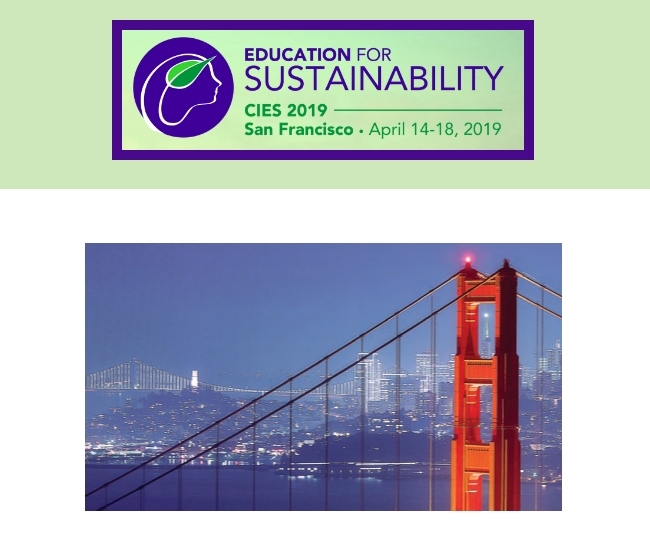 Capacity is limited and registration is required for pre-conference workshops at a flat daily rate of $40, which entitles the attendee to participate in up to three (3) workshops. Participants must register for their workshops of interest in order to reserve a seat; please visit the workshop registration form here. Please be aware of start and end times, as you may not slip between concurrent workshops; session times may vary between 3 and 6 hours in length. The CIES 2018 conference will take place in Mexico, marking the third time in the Society’s history that the annual meeting has been held in this country. Previous conferences in 1978 and 1997 were hosted in Mexico City. In 2018, our conference will take place at the Hilton Reforma Mexico City, the Fiesta Inn Centro Histórico, and the Museo de Arte Popular (MAP). What’s more, the CIES 2018 welcome reception will be held on the colonial patio of the Franz Mayer Museum, located just across the Alameda Central park. As availability at previously announced partner hotels is currently limited to certain dates and/or room types, we have secured additional room blocks at two more properties: Barceló México Reforma and Fiesta Americana Reforma. For instructions on how to make your reservation at any of the official conference hotels, please click here.